Sundays in San Telmo are a noisy, crowded affair with the Feria de San Telmo in full swing. We happen to live on the street where the fair is held, which comes with its own set of pros and cons. PRO: We have easy access to the antiques and handmade goods that 10,000 tourists from around the world descend upon San Telmo to browse. CON: 10,000 tourists from around the world descend upon San Telmo. While I could do without hearing the same tango classic played outside my window repeatedly by street performers each Sunday, I still throw those windows open to bask in the heavenly smell of garrapiñada. Street carts hawking this delicious treat can be found on any day of the week, but they’re out in droves in San Telmo on Sundays and vanilla deliciousness is in the air. 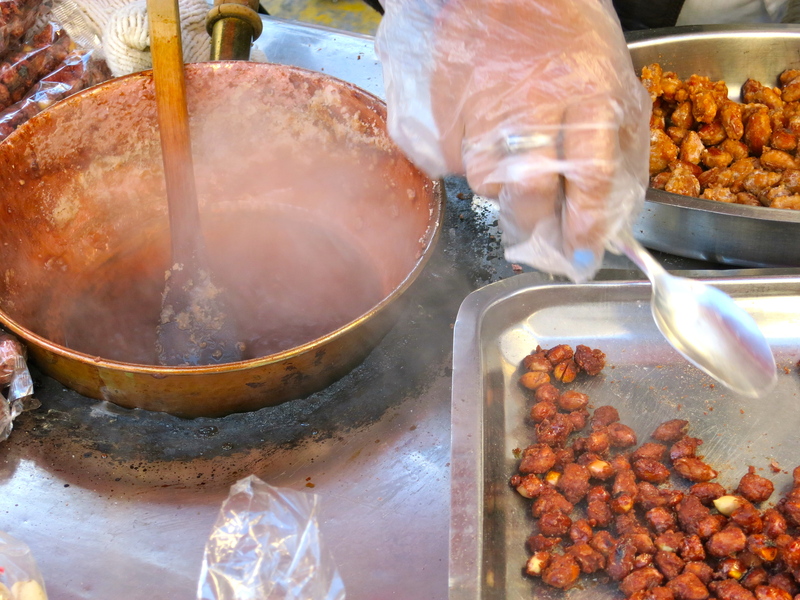 Garrapiñada is made with peanuts, sugar and vanilla, cooked until caramelized. 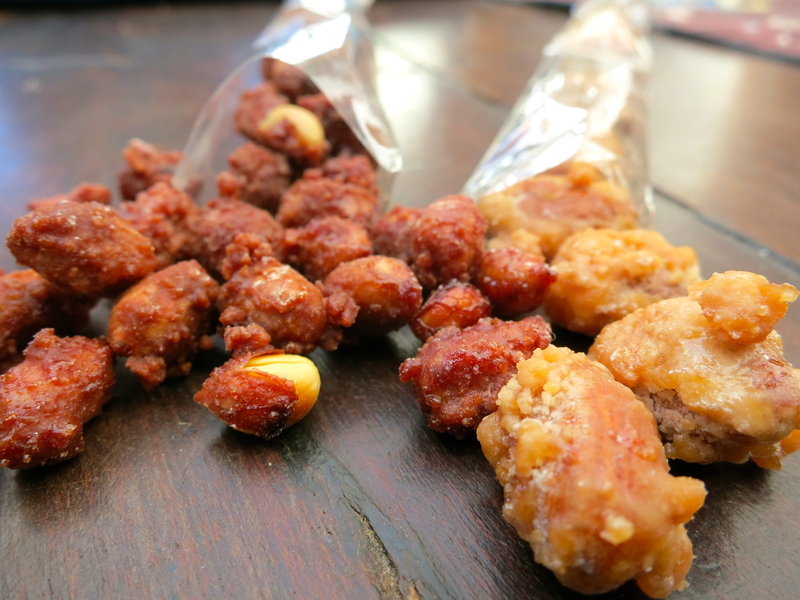 The crunchy candied nuts are a common sight in Argentina and Uruguay. Most of the vendors in Buenos Aires also make it with almonds, my personal favorite variety. A small plastic packet generally runs between $2 and $5 pesos, depending how touristy the area is. Vale la pena, either way. 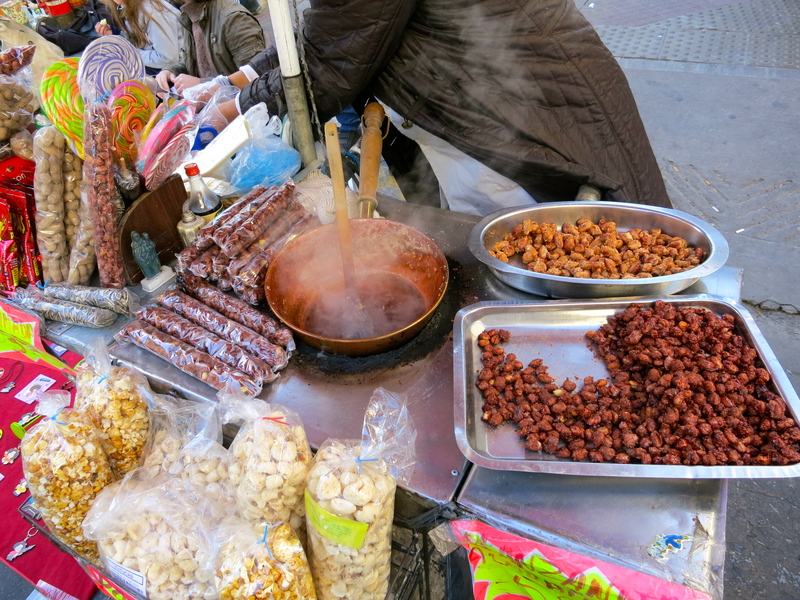 Garrapiñada: mani (peanuts) on the left, almendras (almonds) on the right.